Earlier this year, a group of wāhine came together at the Rongomaraeroa marae in Porangahau for an ahurei that proved transformational in more ways than one. Eleven of the women received their moko kauae at Te Kauae o te Ihi Murirangawhenua wānanga. Two others had their moko kauae enhanced and four wāhine received their ruahine, or forehead embellishment. Organiser Raina Ferris and her whānau described their experience as a rite of passage within their journey of transformation from violation to wellness. 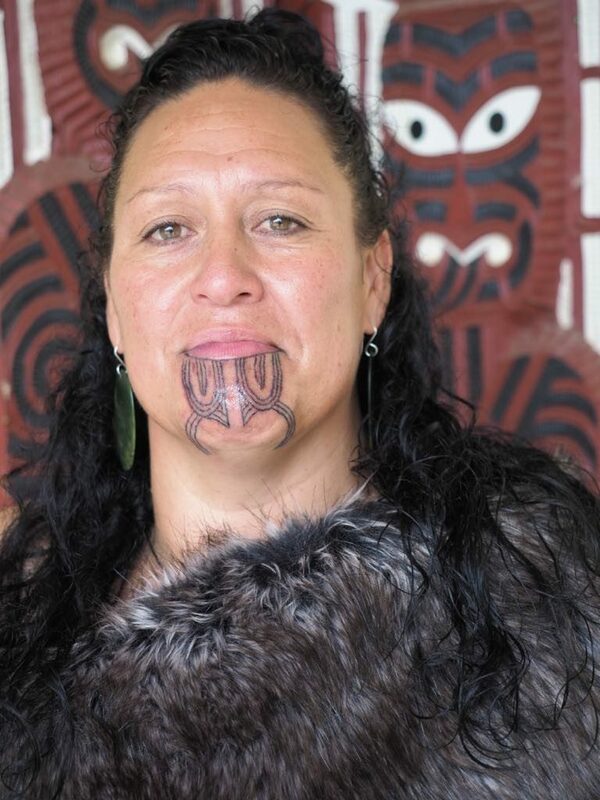 For Kim Eriksen (Ngāti Kahungungu, Te Arawa, Ngāti Tuwharetoa), it was that and so much more. “I feel like I’ve been living with my moko kauae all my life and the deeply spiritual skills of the tāmoko artist, Hemi Te Peeti and wife Takarea, brought it to life and made it visible,” she says. Everything about the experience, says Kim, relates to the kaupapa that E Tū Whānau represents. “For me personally, it was about clearing the spiritual waters, the whare tangata, for this time and for the generations ahead,” says Kim.